British labels XL Recordings and Domino refuse to be part of free three-month trial that won't pay royalties to artists. When it launches this month, Apple Music is promising three months of free, unlimited, on-demand music streaming without having to listen to ads, but for Adele fans this is simply too good to be true. The music industry on the other side of the pond is fighting back against Apple Music’s free three-month trial because record labels won’t be paid royalties during that time. The Telegraph is reporting that British record label XL Recordings, home to Adele, Radiohead, Jack White, and M.I.A., has not yet agreed to Apple Music’s terms. Fellow U.K. label Domino Records, home to a batch of lesser-known indie artists, is also currently refusing to join Apple Music, first announced during WWDC and expected to launch on June 30. Apple may have been successful in carefully negotiating with the three major U.S. labels—Universal, Sony and Warner—before the launch of Apple Music, but it’s the indie record labels who feel “completely screwed.” As leaner businesses, they face bigger financial consequences from three months of no revenue, especially as iTunes downloads are expected to be cannibalized by free streaming during that period. 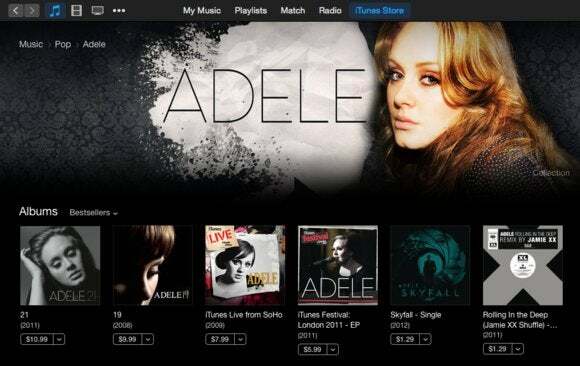 Apple Music “could literally put people out of business,” added Heath. Why this matters: In a fight for survival, the indie labels have banded together against Apple’s terms and it could result in Apple Music launching with significant gaps in its streaming catalog. Digital Music News estimates that somewhere between 50 to 70 percent of indie artists would be missing from Apple Music, which could deter free trial users from becoming paying subscribers. And it’s not like these indie labels have only a bunch of artists you’ve never heard of. Adele’s latest album, 21, is the best-selling record of the decade, and the singer is expected to release an equally successful followup. Indie record labels in the U.S. are also fearful of what Apple Music’s free three-month trial could mean for the sustainability of their business. American indie music organization A2IM sent a letter warning smaller labels about licensing to Apple Music during the free trial. “Since a sizable percentage of Apple’s most voracious music consumers are likely to initiate their free trails at launch, we are struggling to understand why rights holders would authorize their content on the service before October 1,” read the letter, posted by Digital Music News. In plain terms, the letter advised indie labels to exercise “extreme caution” when signing the agreement and suggested that they wait until most Apple Music users end their free trial to license their catalogs to the new streaming service. “Apple is sitting there with this massive pile of cash and saying to us, ‘You help us start a new business.’ Well, I just don’t think it is going to happen on these terms,” added Heath.